Home Security & Monitoring Systems from Vintage Security. A top home security provider serving Maryland, Washington D.C., and Northern Virginia. Call today. Secure what matters to you. 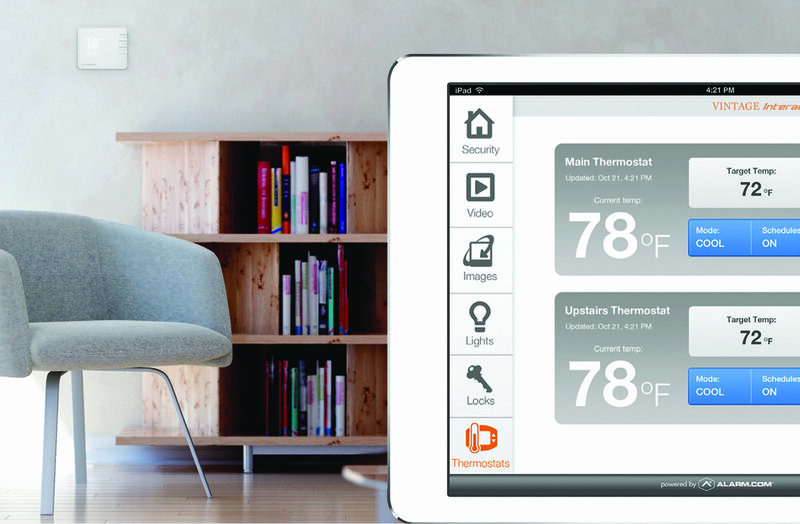 We are not just a security company but a system integrator that can meet many of your home technology needs. The essence of any company is its people the personal attention we provide our customers places Vintage above the competition. We pride ourselves as responsive problem solvers setting the standard in the industry. At Vintage, personal and courteous customer service is not just a department , it is a philosophy. Not only can we secure your home with a state of the art security system, but we also can also install Integrated Home Control, Video Surveillance, Whole House Music Systems and Home Theater Systems. We know that having the most up-to-date home technology is important to you, which is why Vintage Security uses brands such as Qolsys, Alarm.com, Sony, Origin Acoustics, and Legrand as well as the most current products. Vintage Security installs only the highest quality home technology equipment to ensure your satisfaction. Vintage Security’s Quality Control Department follows up each and every installation with a call to ensure our customer’s satisfaction. We have 3 offices in Jessup, MD, Chantilly, VA, and Prince Frederick, MD to serve you. Call today to experience why our motto is: “Personal Service is the Vintage Advantage. We are first and foremost a security company. We take protecting your family and home very seriously and will work with you to provide a solution that is cost effective and secure. Our secure wireless monitoring is fast, encrypted cellular communication which is protected from intruders cutting outside internet or phone lines. Our systems have the state-of-the-art features you are looking for. 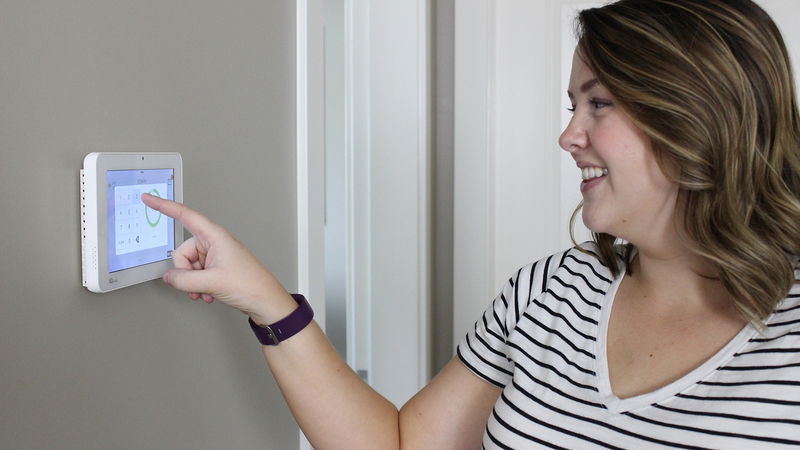 We can make your home a smart home by installing electronic locks, light controls, thermostats, and garage door controllers so that you can manage your home. 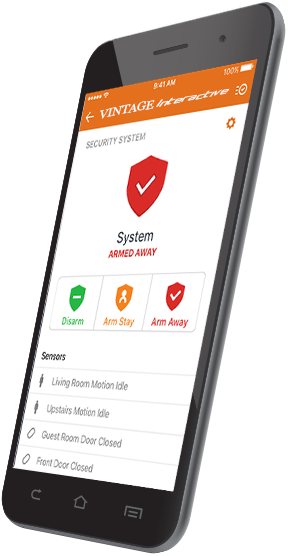 Our home control integrates seamlessly with the security to give you one app for your home to control from anywhere. Create schedules, user based permissions, or initiate actions based on your location with Geo-Services. Receive notifications for just about any event or action. 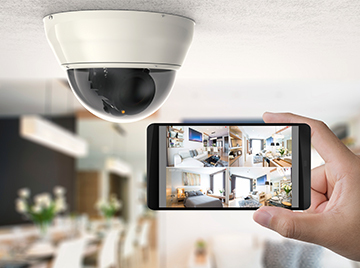 Cameras can enhance your home security to see exactly what is occurring at your home. We can custom design a solution to fit your needs. . From cloud based or local recording, to indoor or outdoor cameras, we have a selection of cameras and recording options to choose from. See and speak to visitors before opening the door with our doorbell camera. 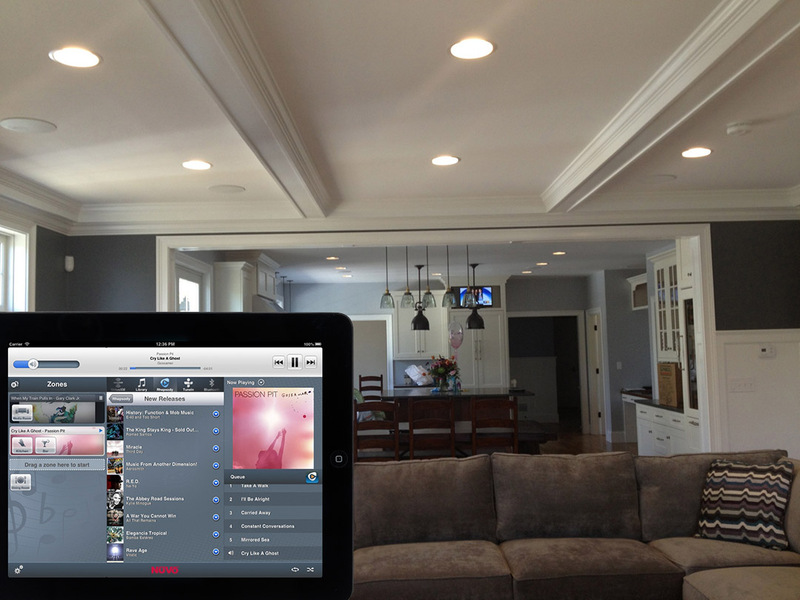 Listen to your music anywhere in your home with a whole house music system that you can control from your phone. Stream music from the internet or your computer. Connect whatever component source for your music you like and select that source from anywhere in your home. Rich sound, architectually designed speakers will enhance your listening experience. We can create a wireless network for all your internet-connected devices. Get full access to your incoming internet speed by getting a network that can keep up. Wireless access points can be installed to insure there are not dead spots were your wireless needs to work. Vintage Interactive meets the demands of the modern world. 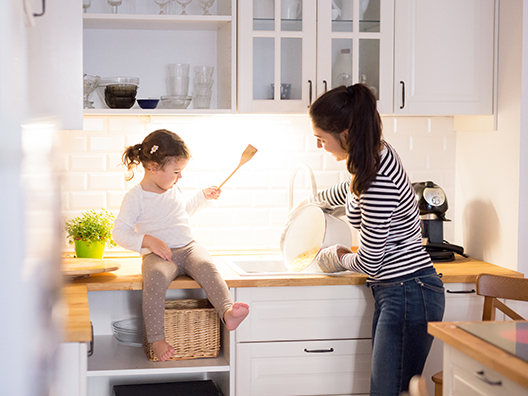 Working with Vintage Interactive, powered by Alarm.com, you can enjoy enhanced lifestyle options that allow you to control your home’s lighting and HVAC and provide current weather conditions as well as a four-day forecast. Vintage Interactive works seamlessly with our web portal and mobile applications for remote access and control. Copyright © Vintage Security | | Website Design by Wood Street, Inc.